Snag and Sauce | Click This, TAPG! 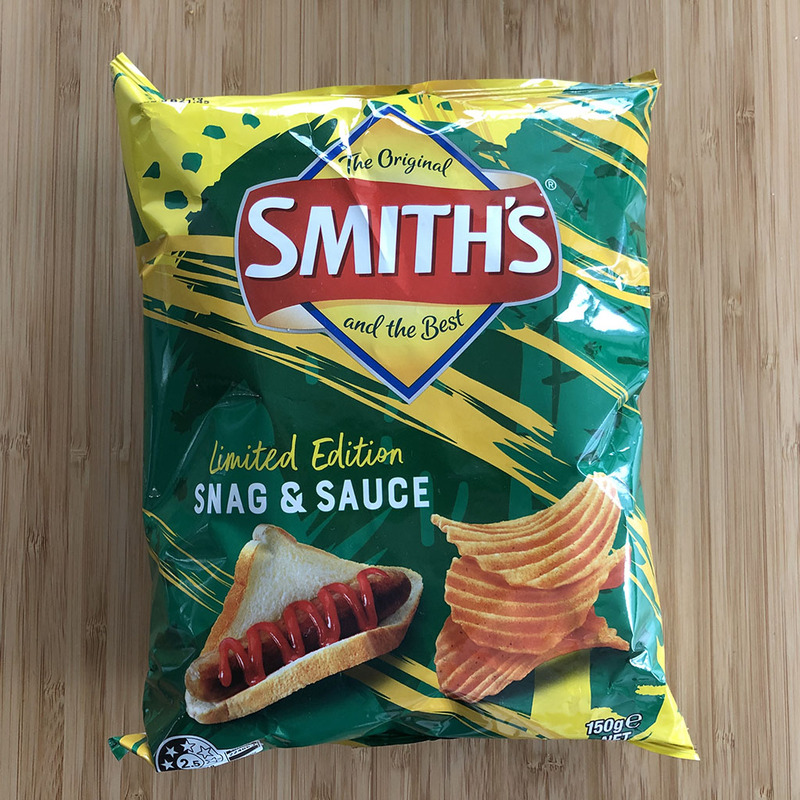 Intrigued by Mabel’s post ‘Australia’s National Colours‘ , I knew I had to find and taste some ‘Snag and Sauce’ chips. Learned that a ‘snag’ is Aussie slang for a sausage. Was not so sure I’d go for the flavor. Better than expected but, truth be told, I think I’ll stay with plain. Thanks, Tim. BTW, assume you got through the deluge OK. See, however, it is a bit chilly right now. Keep warm! You actually went and tried the chips 😀 I’ve not tried them, but I take your word for it. Prefer regular plain and salted chips 😀😀 Thanks for stopping by. I did! Thank *you* for the interesting history. Enjoyed the read and the food sampling. Cheers!